A HUGE thank you to everyone who contributed to making 24 Hours in Farming 2016 a massive success, with #Farm24 being seen 112 million times. 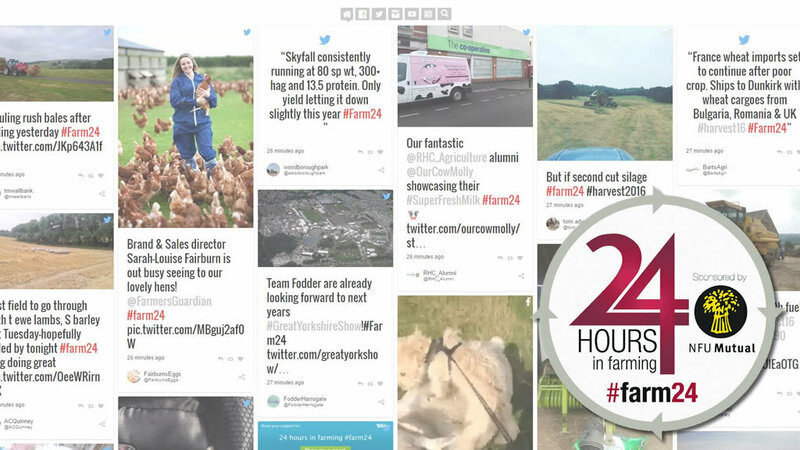 More than 15,500 posts were made yesterday across social media and, despite stiff competition from the Olympics and A’Level results, #Farm24 trended in the top five on Twitter for most of the day reaching number two position at its peak. The campaign, which was this year sponsored by NFU Mutual, was most successful on Twitter again this year but Snapchat, Instagram and Facebook were also being used throughout the day. We think the award for the greatest staying power goes to Andrew Paterson in Scotland who was tweeting for a total of 23.5 hours (starting at 2.30am), when last minute baling followed by calving duties kept him busy all day and night.